Inauthentic accounts, spam, and malicious automation disrupt everyone’s experience on Twitter. To showcase its to commitment to create a healthier platform for everyone - Twitter introduced new measures to fight abuse and trolls, new policies on hateful conduct and violent extremism, and are bringing in new technology and staff to fight spam and abuse. 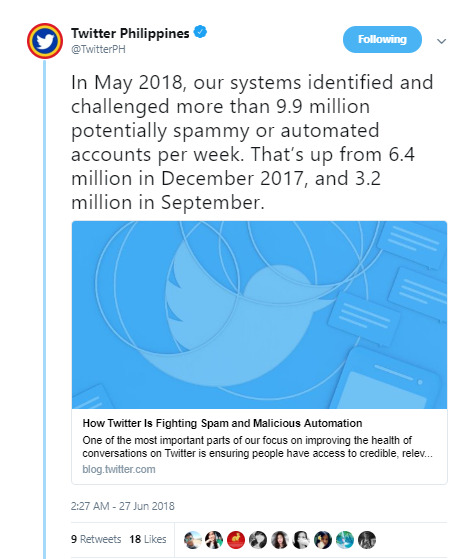 • In May 2018, Twitter’s systems identified and challenged more than 9.9 million potentially spammy or automated accounts per week. That’s up from 6.4 million in December 2017, and 3.2 million in September. • Twitter is removing 214% more accounts for violating Twitter spam policies on a year-on-year basis. • At the same time, the average number of spam reports received continued to drop — from an average of approximately 25,000 per day in March, to approximately 17,000 per day in May. A 10% drop in spam reports from search as a result of recent changes. These mean people are encountering less spam in their timeline, search, and across the Twitter product. • In Q1 2018, Twitter suspended more than 142,000 applications in violation of their rules — collectively responsible for more than 130 million low-quality, spammy tweets as Twitter maintained this pace of proactive action, removing an average of more than 49,000 malicious applications per month in April and May. Twitter is increasingly using automated and proactive detection methods to find misuses of their platform before they impact anyone’s experience. More than half of the applications they suspended in Q1 were suspended within one week of registration, many within hours. These are proofs that Twitter is working to catch and prevent these activities before anyone can see it. • Enable two-factor authentication. Instead of only entering a password to log in, Enter a code which is sent to a mobile phone. 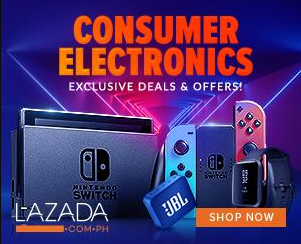 This verification helps make sure that only the owner can access their account. • Regularly review any third-party applications. Visit the Apps tab in the account settings on twitter.com to review and revoke access for applications. • Don’t re-use passwords across multiple platforms or websites. Have a unique password for each accounts. • Use a FIDO Universal 2nd Factor (U2F) security key for login verification when signing into Twitter. Additionally, if you believe you may have been incorrectly actioned by one of Twitter’s automated spam detection systems, you can use the appeals process to request review of your case.